It would appear that London-based shop owner Zoe Anderson was destined for a life in retail, whether she realized it growing up or not. 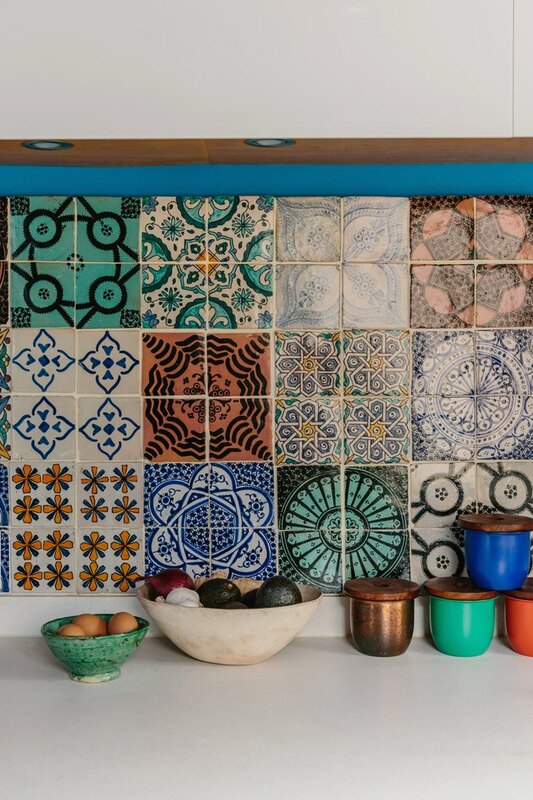 Raised in a quiet seaside town on the south coast of England, Zoe's grandfather was a green grocer and her father, owner of a cookware store. 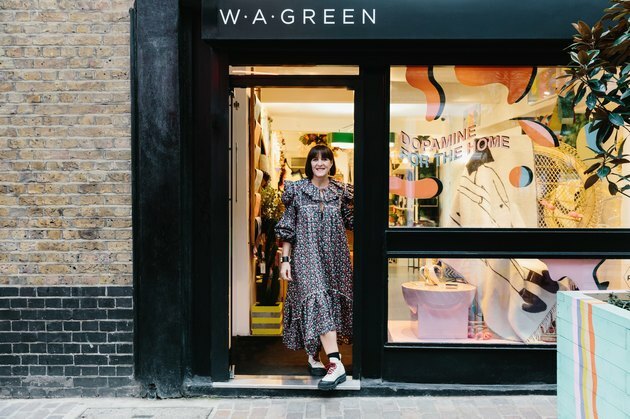 Not one to go with the crowd, Zoe's own rebellious nature took her to London to pursue an alternative career in advertising and marketing, before quitting it all two years ago to open her own homeware store with a difference: W.A.Green. 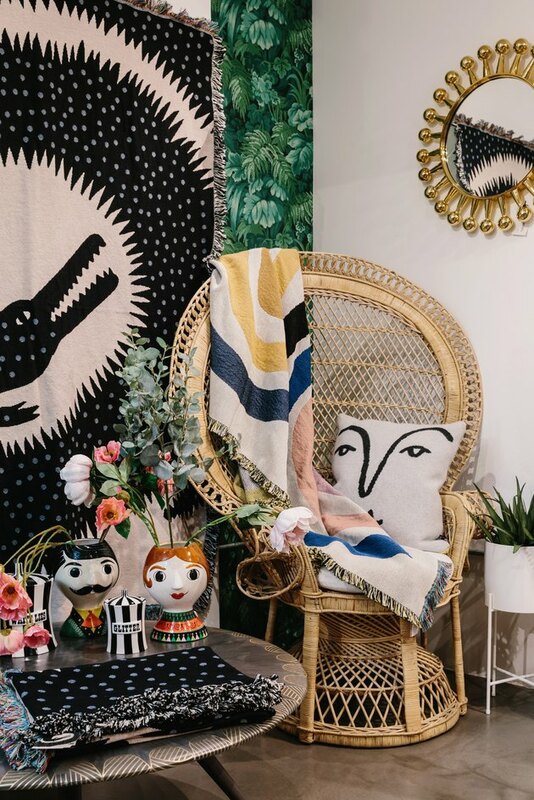 It's between the Shoreditch-based lifestyle store and her north London abode that Zoe now spends most of her time, alongside her husband Gavin, daughter Ruby, and cat Oddly Boddington. 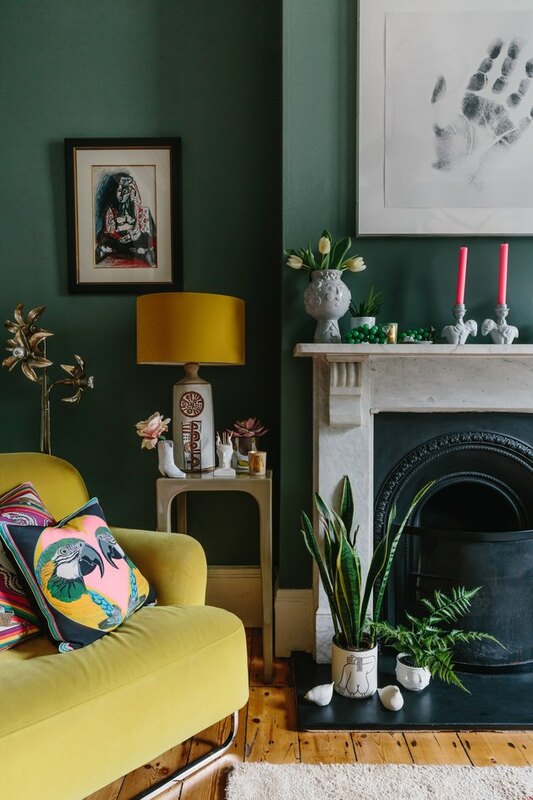 Situated in Finsbury Park, Zoe's Victorian terraced home consists of three stories, four bedrooms, and a cellar. 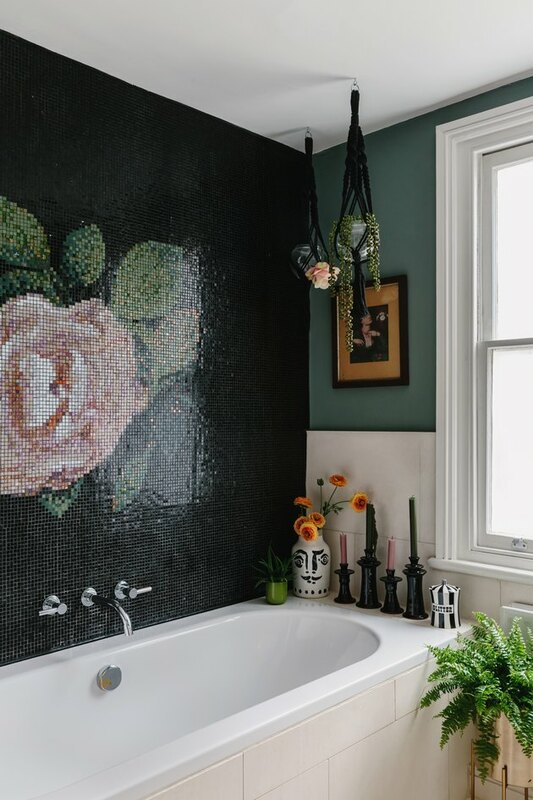 The couple moved in as a young family back in 2003, Zoe initially drawn to the original features of the home, as well as the large bedrooms and proximity to local transport. "Back in 2003 I used to wear high heels and the house was shamelessly close to the tube," she chuckles. 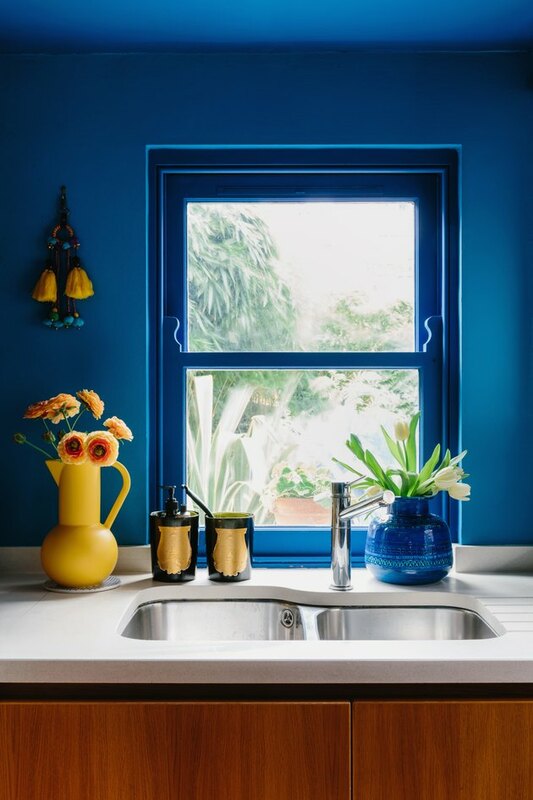 The vibrant local community and lower London price tag sealed the deal, and both Zoe and Gavin, along with the help of various friends and associates, spent the next five years slowly renovating each room. Not surprisingly, color plays a huge role in Zoe's core style, and if you were to ask any of her friends, they'd "all say she's a maximalist." 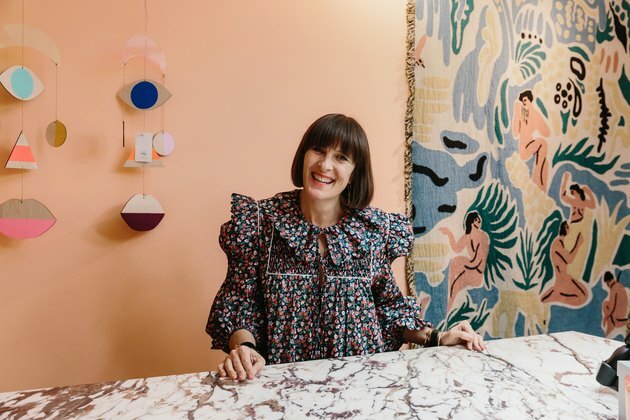 Her fashion influences inform her interior design decisions, inspiring her to be progressive with sustainability and put quality at the forefront. "I've realized I like to dress my house a bit like I dress myself," she explains. 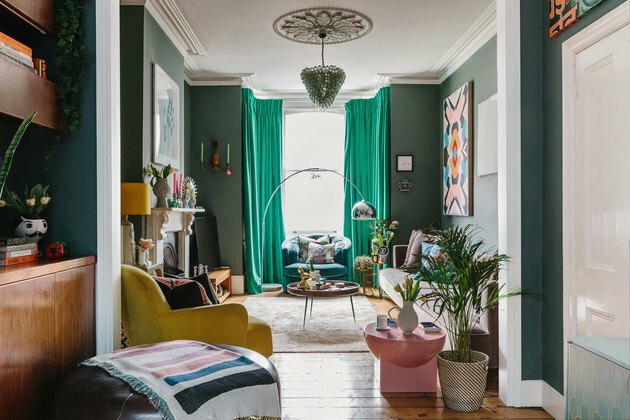 "I recently switched the cerise pink velvet curtains in the living room to bright green ones from Designers Guild. 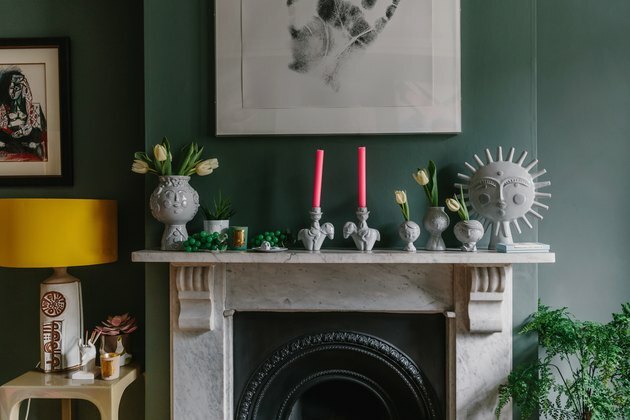 I kept Farrow & Ball's Green Smoke on the walls because it worked well with the limited natural light of the room. It's east facing so we get light at the front first thing in the morning and at the back in the late afternoon." The living room is Zoe's favorite room to hang out in. 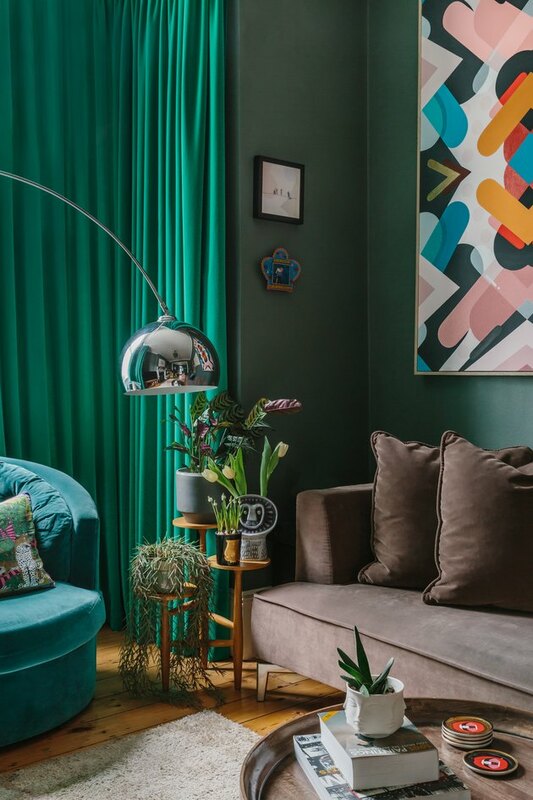 From the Ligne Roset sofa (Zoe's most costly purchase) to the two green glass chandeliers from Liberty London (a move-in gift from her grandmother), Zoe has invested in making this room one of a kind. 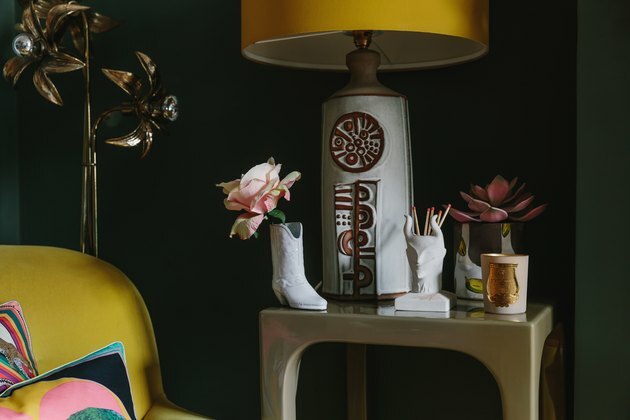 Careful layering of objects found on her travels and vintage shopping trips make every corner a visual feast for the eyes. "I find it really hard to compromise and would rather wait until I can afford what I want rather than live with choices I regret. You always end up paying twice. Spend as much as you can on the basics — the things you can't ever change." 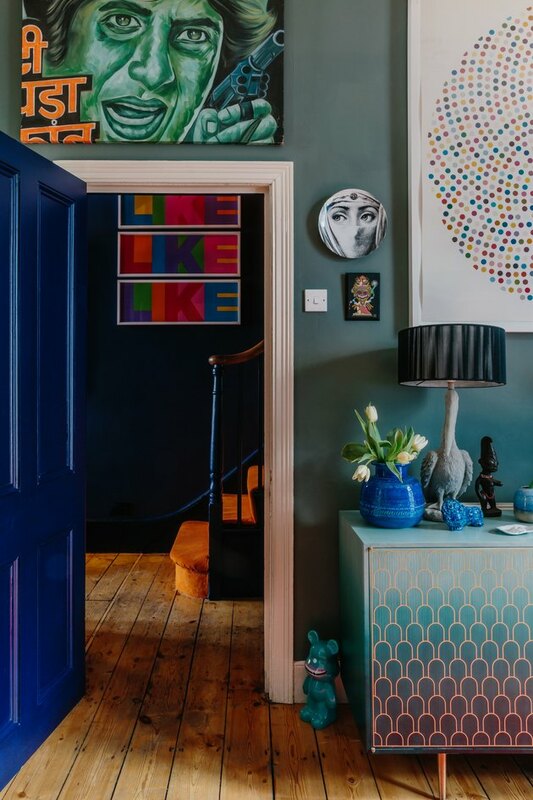 Art plays another important role in the home. 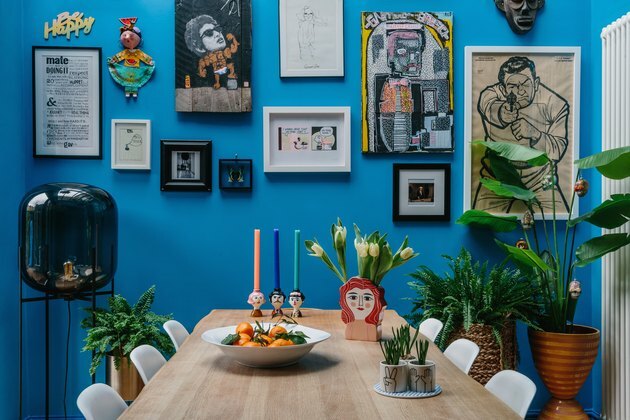 Thanks to incredibly high ceilings, the interior of the property is filled with bright and bold pieces from local artists like street artist Pakal, as well as Saatchi Gallery finds, where Zoe says you can get your hands on "lesser-known artists work at more affordable prices." Both emerging and established artists are championed, and the result is an eclectic mix of work. After 15 years in the 1890s home, Zoe is now looking to start updating again, with the kitchen first on her list. 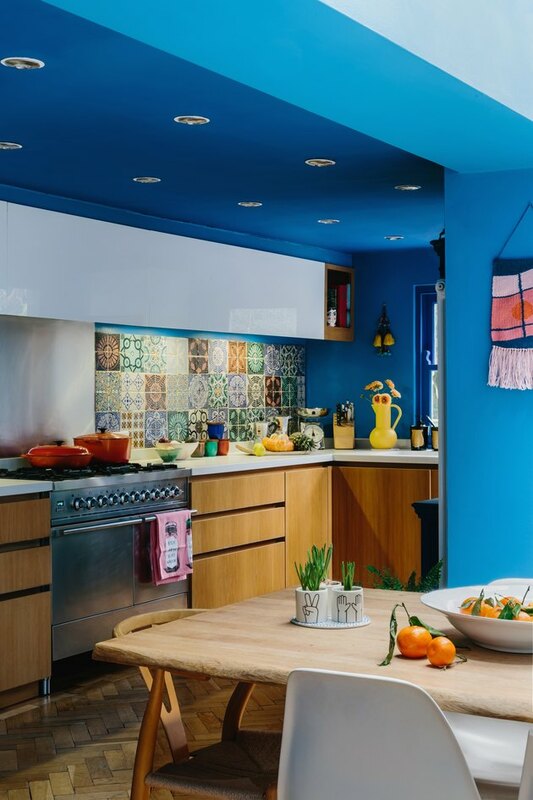 The family spends much of their time in the bright-blue room and she is looking to increase the ceiling height and dreaming of a central kitchen island with a hob (stove top). For now, though, the blue (My Painthouse's Aria) is hitting the spot in terms of color and Zoe constantly switches objects around the home depending on her mood — the perks of having constantly rotating stock in the shop. 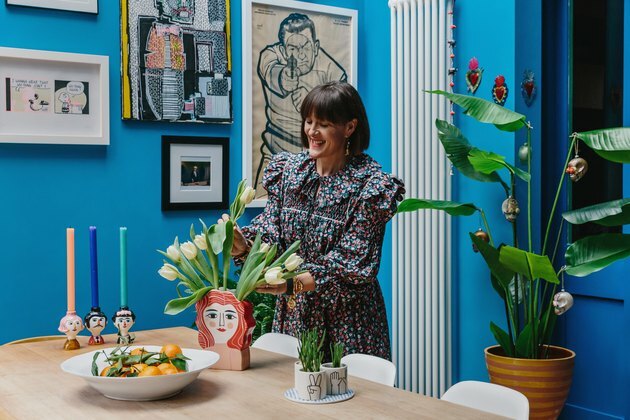 Currently, some blue ceramic hand-shaped candleholders by Pols Potten are bringing her joy, but she also adores adding pops of contrasting colors, like the addition of a bright-yellow vase designed by Nicholai Wiig-Hansen for Raawii. 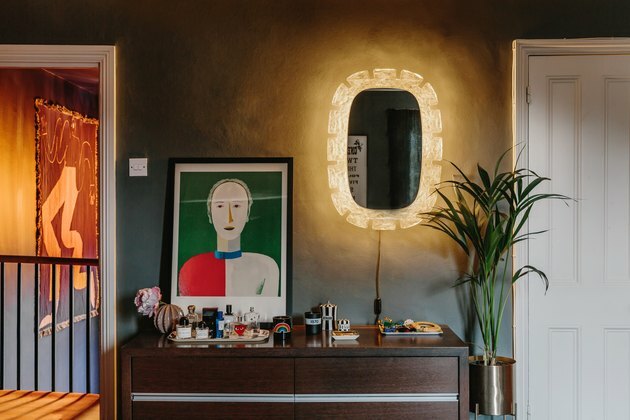 When it comes to furniture, Zoe prefers to mix vintage with future classics, so she often visits markets and vintage furniture stores for lighting and one-off finds, while also utilizing London's extensive range of interior showrooms. "I appreciate the classic pieces but I'm not into owning them, as so many people have them and it makes things feel too safe and cookie-cutter like," she says. "Sites like Etsy and 1stdibs are great for vintage pieces. I recently decorated my hallway with Murano glass chandeliers from Italy through somebody I found on Etsy." The ultimate desire for the house is for it to always look "elegantly lived in." Zoe uses magazines for inspiration and can now cite Pinterest as one of her favorite places to source fresh ideas. "A home is never finished. 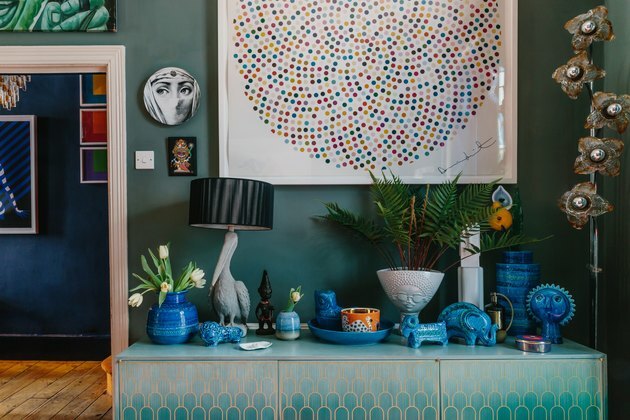 Your home changes with your life and our ethos is all about surrounding yourself with objects and pieces you truly love that bring you joy, that perk you up and allow you to feel great." 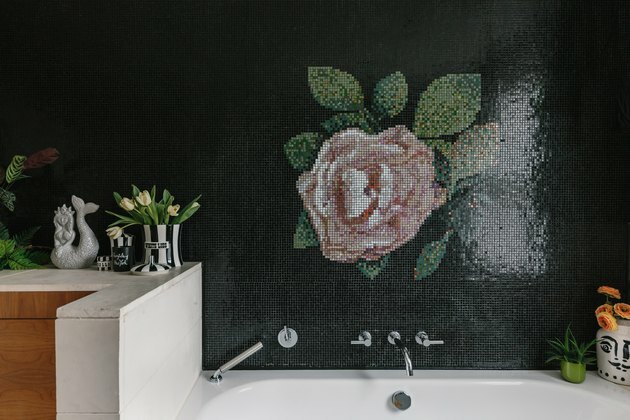 Something that will never change is the rose mosaic bathroom tile from Bisazza. Zoe fell in love with the rose design and believes it has formed the backbone of her pretty-meets-bold style. "It just shows you have to really love something before you buy it. I think it's a mistake to buy something you don't love because you need it." Heading from her home to W.A.Green, the store is just as much a reflection of Zoe's personality. In fact, Zoe wouldn't dream of stocking something that she wouldn't place in her own home. 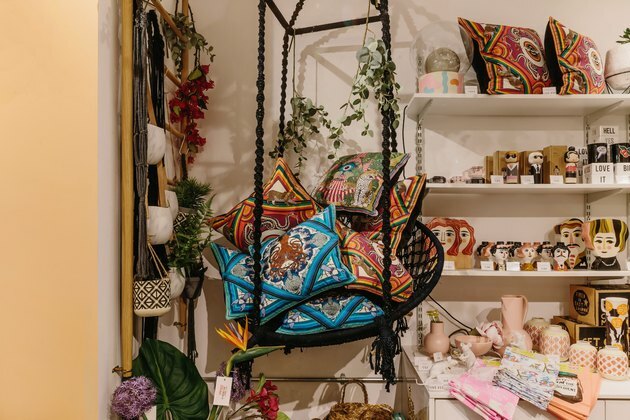 The cozy shop is located in the heart of the Shoreditch district on thriving Charlotte Road — surrounded by the UK's top architects, interior designers, and creatives — and opposite the famous Bricklayers Arms, a throwback to Zoe's own youth. Oozing a fun and fresh vibe, the store was created on a shoestring budget due to a heavy investment in opening product. "From getting the keys to opening the door we managed to refit the store and open within five weeks. It was full on but fantastic to see my vision come to life. I made a cardboard model at home to plan the layout complete with door so I could try and see what a customer would see when they came in." 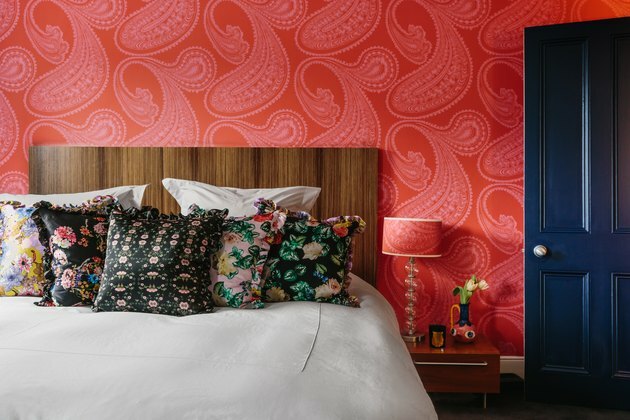 The initial interior featured walls painted in Angie pink from Little Greene and Jungalicious wallpaper from Silken Favours, which Zoe attributes as a big part in getting them noticed in the local landscape. 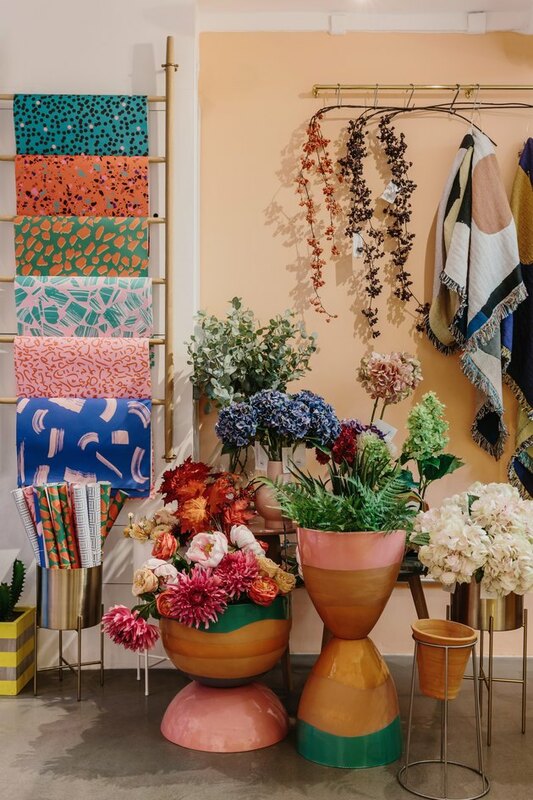 Nearly two years on and the store is now painted in a fresh white and custom-created peach hue to allow the colorful homewares to take center stage. Stock is of huge importance to The Green Team and Zoe looks out for talent underrepresented in the UK market with a focus on women such as Bethan Gray, Giannina Capitani, and Helen B. 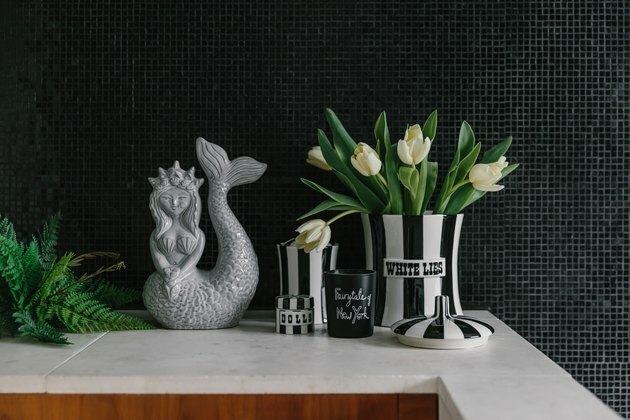 You can also expect to grab classically playful pieces by Seletti and Jonathan Adler. "Everything we stock has to have a positive story, we understand the heritage behind every piece. It should all be sustainable and ethical as well as making you smile. We call it dopamine for the home." In the coming months, a major shop refit is in the cards. Zoe has tried and tested her market, nailed her online and digital strategy, but now needs to integrate the two channels more cohesively. "The business has changed so much," she explains. "It was always our intention to sell online as well as being a brick-and-mortar store but we didn't appreciate how much space we'd need for stock and fulfillment as we got more well-known in this space." Keep your eyes peeled for developments — we've seen a sneak peek and can confirm you're in for a treat. And finally, would she recommend taking the leap to others? "I've never felt more like myself since running my business. For the first time in my life I truly feel like me. I used to have to represent a brand and work to the brands strict guidelines — to invent your own brand and explore that brand journey is so exciting and I can honestly say I love every hat I have to wear throughout the day." Never mind dopamine for the home, it sounds like this venture is truly dopamine for the soul. 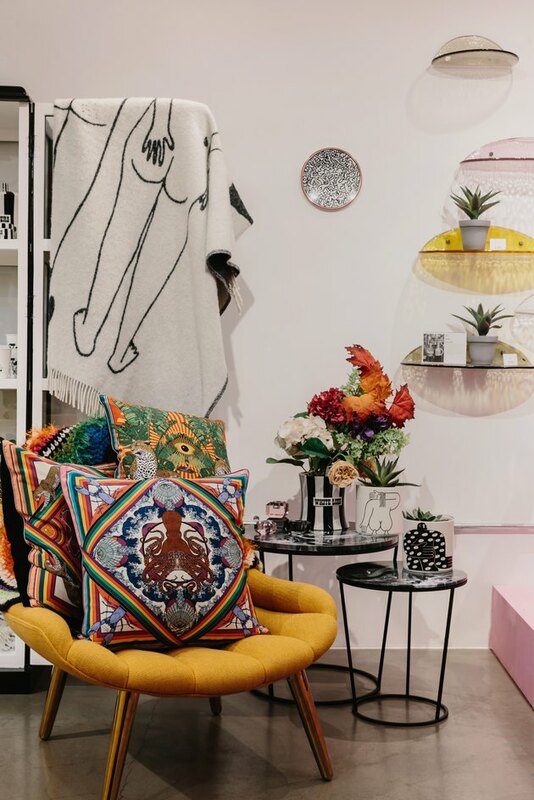 Follow Zoe on Instagram for further shop and home updates or find her in-store at 9-10 Charlotte Road, London EC2A 3DH.